Marketo is building a major momentum in its leadership hiring and product innovations in 2017. After announcing the next-gen Engagement Platform early this month, the leading provider of engagement marketing software and solutions has announced that Manoj Goyal is joining the company as chief product officer (CPO), effective immediately. Goyal will report into Marketo Chief Executive Officer, Steve Lucas. The latest announcement on the CPO hiring comes almost a month after the success of Marketing Nation Summit 2017. Manoj Goyal will oversee the company’s product and engineering teams responsible for the Marketo Engagement Platform. 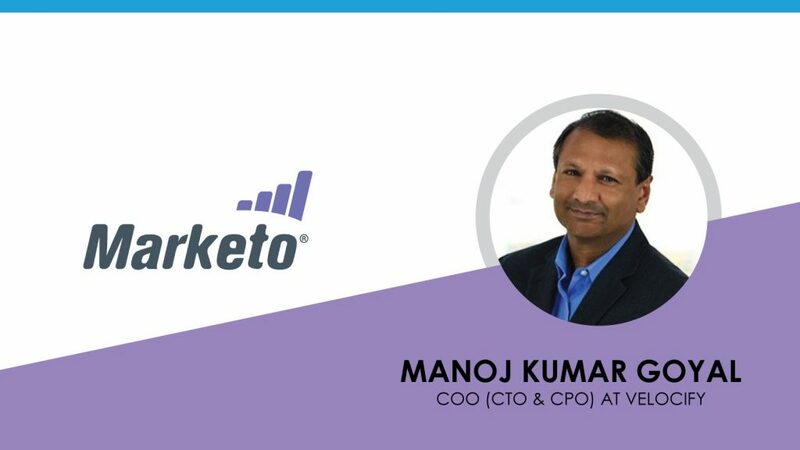 Manoj Goyal brings more than 25 years of experience in sales acceleration, advertising technology, marketing automation, CRM, big data analytics, enterprise search, and content management to Marketo. Prior to joining Marketo, he was most recently chief operating officer at Velocify, a cloud-based sales automation company, where he led the company’s product, technology, and client success teams. Previously, Goyal served as the vice president of engineering at OpenX, overseeing strategy, engineering, data science, and support. He also spearheaded the introduction of a massive-scale database and analytics solution as an executive of Cloud Services at Hewlett-Packard. An enterprise technology veteran, he has held engineering leadership positions at Oracle and EMC, where he was vice president of the company’s Information Intelligence Platform. Goyal earned his M.S. in computer science from the University of Southern California and a B.A. in economics and B.S. in computer science from UC San Diego. Marketo is accelerating its product innovations and strengthening its partner engagement program to improve customer experience across martech solutions. Manoj’s role will be critical to the company’s success in 2017, even as Steve Lucas has already announced that Marketo is ready with next-gen MarTech platforms that will be announced in coming weeks.